We were very saddened to hear about the fire that ripped through the building that has been home to Philadelphia International Records since the early '70's ... and formerly housed the legendary Cameo / Parkway Records Label in the 1960's over the weekend. Thanks to a couple of Forgotten Hits Readers, (Thank You Again, Rich and Mamie!!! ), Frannie and I were invited to take a private tour of these facilities a couple of years ago. The musical history recorded inside those walls is unparalleled ... what Motown was to Detroit, Cameo / Parkway and then later Philadelphia International Records were to the city of Philadelphia ... they truly created "The Sound Of Philadelphia" that came out of ALL of our radios back in the '60's and '70's. We've done two extensive series on The History Of Cameo / Parkway Records in Forgotten Hits ... and over the years have shared personal memories from many of the artists and folks behind the scenes in making some of this great music. Tapping the seemingly limitless talent of its local citizens, Philly truly became the center of the musical universe for a while and, coupled with the success of American Bandstand, the eyes and ears of the world were focused on the East Coast Sound. As such, much of the great music of this era was first broken by Philadelphia deejays ... if THEY thought it was a hit, it generally was. A fire Sunday (February 21) caused extensive damage to the Philadelphia studios used by Parkway Records to record Chubby Checker's "The Twist" as well as Cameo Records artists like Bobby Rydell and later the Kenny Gamble/Leon Huff-owned Philadelphia International artists, including "TSOP" by MFSB and "When Will I See You Again" by the Three Degrees. One man was rescued from the building with minor injuries and firemen said that even though they had to cut a hole in the roof to battle the blaze, every effort was made to spare the memorabilia-- including gold records-- inside. The building is not designated as a landmark and there has been speculation about building a high-rise on the site. fathom how arsonists could even think to destroy such a legendary, musical landmark. 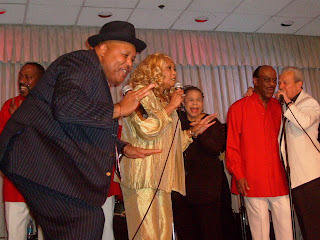 Our heartfelt condolences go out to ALL of the artists who laid down tracks here ... and to Kenny Gamble and Leon Huff, recently inducted into The Rock And Roll Hall Of Fame, who have kept the music and the legend alive for all these years. February 22nd, 2010: Fire Rips Through Philadelphia International Records HQ; Master Tapes Safe (Whew). As you may have heard, a fire tore through the iconic Gamble & Huff-founded Philadelphia International Records studios and offices at Broad and Spruce — a place where such legends as Teddy Pendergrass, Chubby Checker, Michael Jackson, Patti LaBelle, and many others have recorded songs — early Sunday morning. The good news is that PIR’s thousands of master tapes are stored in a “secret underground vault” in a different location, PIR executive vice president Chuck Gamble (Kenny’s nephew) tells KYW1060, so the damage was certainly minimized. Philadelphia International Records is Philadelphia’s true historical asset; you can forget about any cracked bell or old torn parchment. The orange shagged studio is where Patti LaBelle, Teddy Pendergrass, and other R&B stars birthed the Sound of Philadelphia. And while a fire on February 21st destroyed 40% of the buildings’ memorabilia, the legendary recording space miraculously survived. The fire, which started just before 7:30 a.m. on Sunday, ignited on the third floor. An unknown man was treated for burns, but was released uncharged. Officials aren’t quite sure how the man had gotten into the building, and neither does co-owner Kenny Gamble, who said the man had no business with the company or any of the owners and went on to add that the venue is normally locked down like “Fort Knox”. As for damage, several gold and platinum records had been destroyed, but the identity of those hadn’t yet been discerned. The owners assured that the company’s 10,000 masters are fine, however, as they are stored safely in a secondary facility. The studio had suffered some damage, but employees mentioned most of it was soot from smoke damage. PHILADELPHIA (AP) — Officials say a two-alarm fire that is considered "suspicious" destroyed about 40 percent of the memorabilia at the home of famed Philadelphia International Records but spared the recording studio that gave birth to the "Sound of Philadelphia. 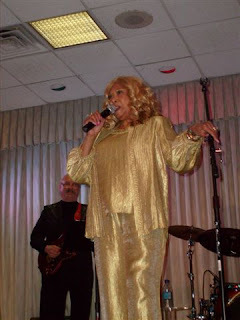 "The fire broke out downtown at about 7:30 a.m. Sunday and injured one man, who authorities say was questioned and released.Executive vice president Chuck Gamble says the blaze melted gold and platinum records, but the company's 10,000 master recordings are stored at an underground vault.Philadelphia International Records produced many R&B classics of the 1960s and 1970s. Michael Jackson, Patti LaBelle and Teddy Pendergrass are among the musical luminaries to have recorded there with producing team Kenny Gamble and Leon Huff. The studio was covered in vintage '70's shag carpeting from floor to ceiling ... every wall "sound-proofed" to capture the very essence of The Philadelphia Sound. Here's Frannie and I inside the plush studio, sharing a microphone that recorded countless hit vocals over the year ... and me sitting in a chair in the very room where the #1 Billy Paul Hit "Me And Mrs. Jones" was written. 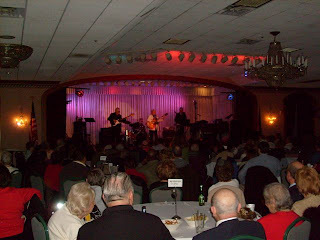 HISTORIC CAMEO-PARKWAY SHOW NEARLY SOLD OUT -- THANK YOU! 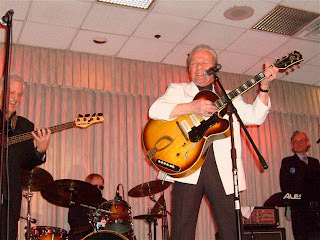 CHARLIE GRACIE, DEE DEE SHARP, THE TYMES and THE ORLONS, drew nearly a strong house (300-plus) at CANNSTATTER'S CRYSTAL BALLROOM in Northeast Philadelphia (2/13) despite record-breaking snowfalls throughout a week which was not so ... "Wonderful, Wonderful!" 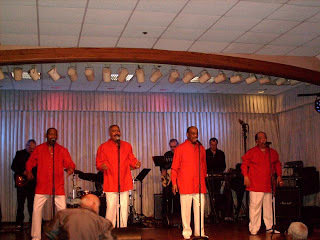 Those who attended witnessed a dynamic and rare combination of Rock 'n' Roll, Doo Wop, Rhythm & Blues and Soul --- performed by four legendary acts known around the world ... and still the pride of the Philadelphia! If you missed this one ... look for another -- perhaps this spring! THANKS AGAIN! 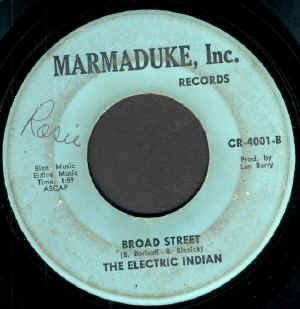 Philadelphia had many new and unique record companies taking advantage of new and surprising talent on the streets of Philadelphia. Bernie Lowe & Kal Mann were two native Philadelphians and played a major role developing many of these new artists at Cameo / Parkway records and studios on Broad Street in Philadelphia. In fact Broad Street was lined with recording studios and record distributors at the time. There were so many of these new artists that they would have to record in one or two takes during sessions that were generally limited by the constant demands of the studio time as they were always continually booked and testing and recording new artists. and a song called "Silhouettes". It wasn't but less than an hour later that Bernie showed up at the station with an acetate of the recording and five one hundred dollar bills. After Hy played it on the cue monitor and liked it, he played it on the air. In fact he played it three time in a row. The phones lit up, and the song was an instant smash. In fact, practically everything that was recorded at Cameo Parkway usually arrived at the station in the same fashion. 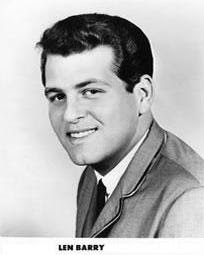 However, Hy did not accept everything as being air worthy and was very select at what he played. His ratings bear that out. But what he did play usually became an instant overnight smash. And all the record companies knew that. Hy was very popular and dominated AM radio in the 50's and 60's, so naturally. if you were involved in recording music and you got Hy Lit to play it, you probably had a hit on your hands. Needless to say when Hy was on the air it was a venerable circus of promotion men at the radio station, each trying to top one another with prods and perks to entice Hy to play their record first. There was always new music coming out and such was the dawn of Rock n Roll. 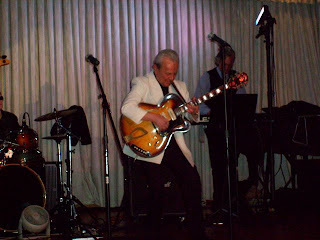 Len Barry is my uncle and was the lead singer of the 'Dovells' on the Cameo / Parkway label, recorded at the Famous Cameo / Parkway studios on Broad Street. Needless to say. he had the inside track to my father. Many years later, after Len Barry left the Dovells and went solo, he began producing. 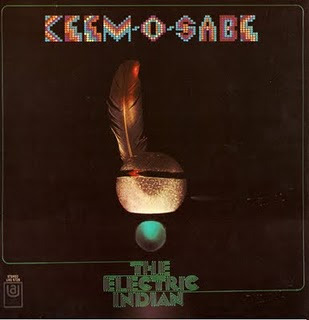 In 1969, time was booked at Sigma Sound Studios in Philadelphia and he began writing, producing, recording and arranging a session under the name 'The Electric Indian'. 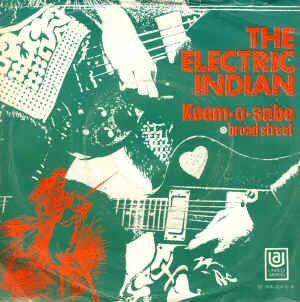 This was an all instrumental musical album composition with the 45 release to be a song called "Keem-O-Sabe". When the session was complete after two weeks or so, Lenny was handing out the checks to the 12 or so musicians that he had hand picked from throughout Philadelphia for his recording session. Kenny Gamble and Leon Huff were kicking around and walking the halls at Sigma Studios at the time. They practically witnessed Lenny's entire Electric Indian recording session. Practically before the musicians got up and left to cash their checks, Kenny Gamble and Leon Huff signed most of those musicians to a recording contract to be the house band for a new record company that they wanted to form. They named their house band MFSB. They named their record company Philadelphia International Records. Less than a year later, they were picked up in a distribution deal with CBS records. The rest is history. Daryl Hall was one of those musicians Lenny picked for the Electric Indian, but he declined to sign and formed his own group instead. Bernie Binnick of Swan records and my father Hy Lit, formed a label called Marmaduke, Inc. records to back the Electric Indian sessions under a shell company, Ben Sam, inc. (for Benna, my sister and Sam, me ... Marmaduke was the affectionate term my father called my mother). Lenny is credited as writer / publisher under the name Len Borisoff, his real name, as well as the name Uniman, on the album (My mother's maiden name). Hy couldn't have his name on records because of his broadcast influence on the air. Keen-O-Sabe reached the top 20 nationally. The flip side of the 45 was called Broad Street. Marmaduke records was quickly bought by United Artists when Keem-O-Sabe charted. 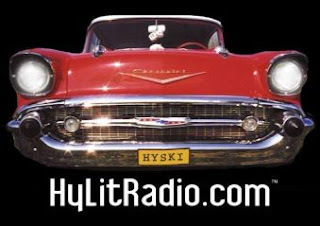 Hy Lit Radio Technologies Inc.
We'll be sharing more of your comments in the days to come. Got a memory or two to share with our readers? Just drop us a line at forgottenhits@aol.com.